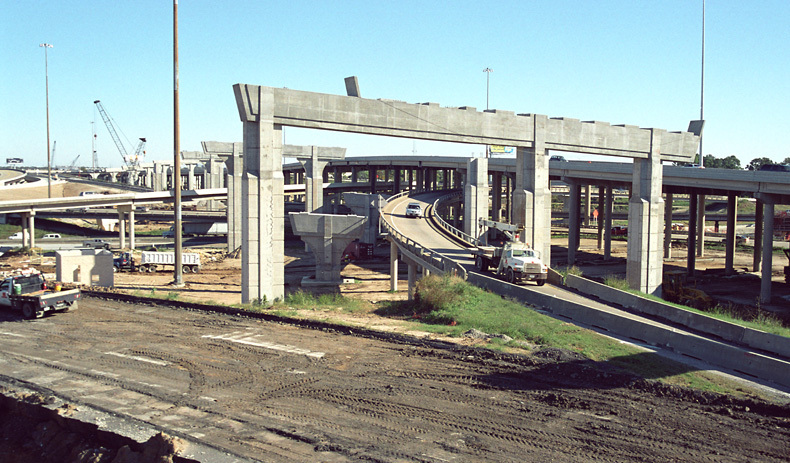 Construction at the Interstate 10/Interstate 610 interchange. 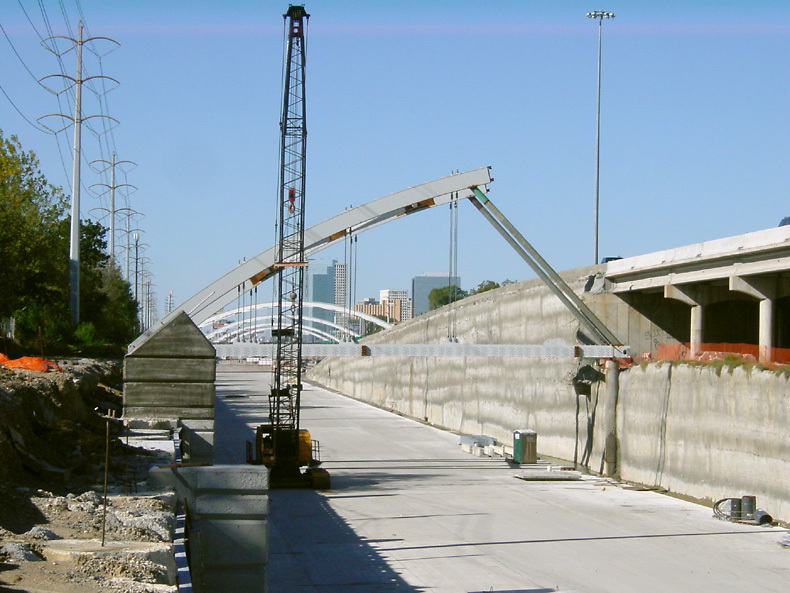 This view looks north and shows the structure for the future southbound 610 main lanes. Construction on the new northbound lanes for US 59 is nearly complete. This view shows construction for the future arched span at Graustark street. 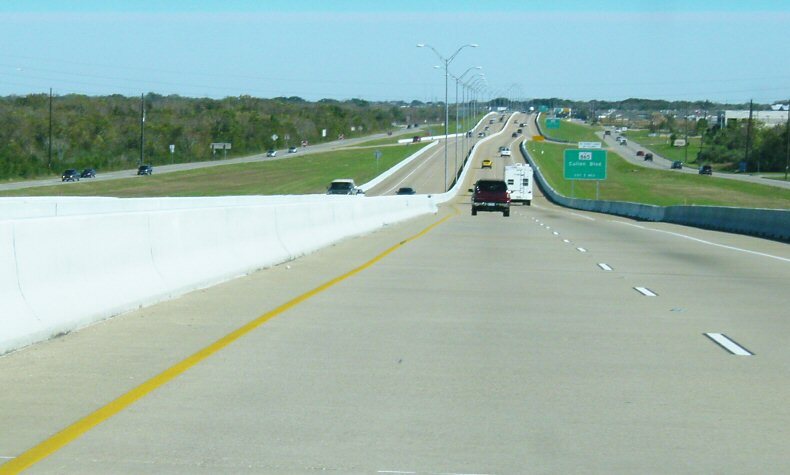 This view shows piers for direct connector ramps at the intersection of the Fort Bend Parkway and US 90A (South Main). 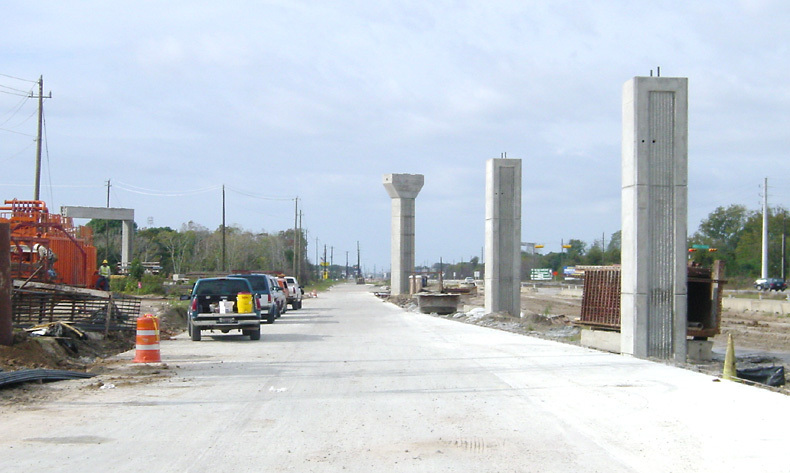 Construction of the Westpark tollway extension just east of FM 1093. 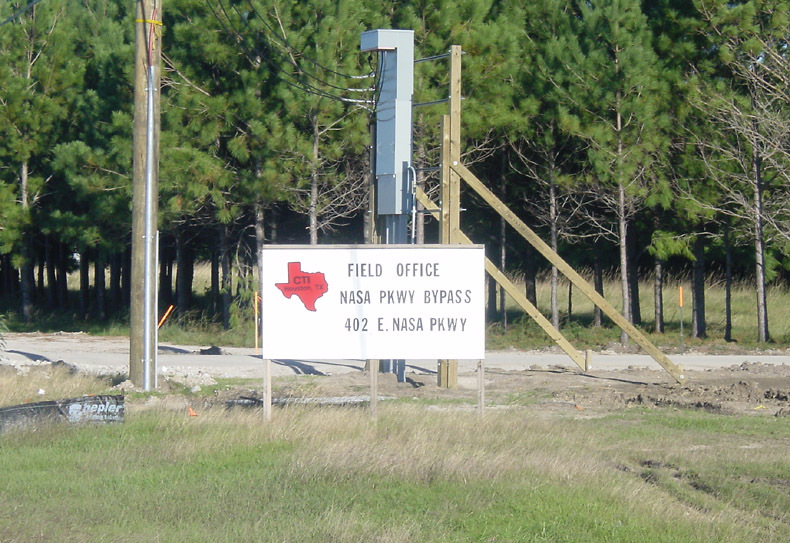 Work is just getting underway on the NASA 1 bypass freeway. A field office and concrete batch plant has been set up. So far, only preliminary work is in progress. This view is just east of SH 3. In the distance NASA buildings can be seen. 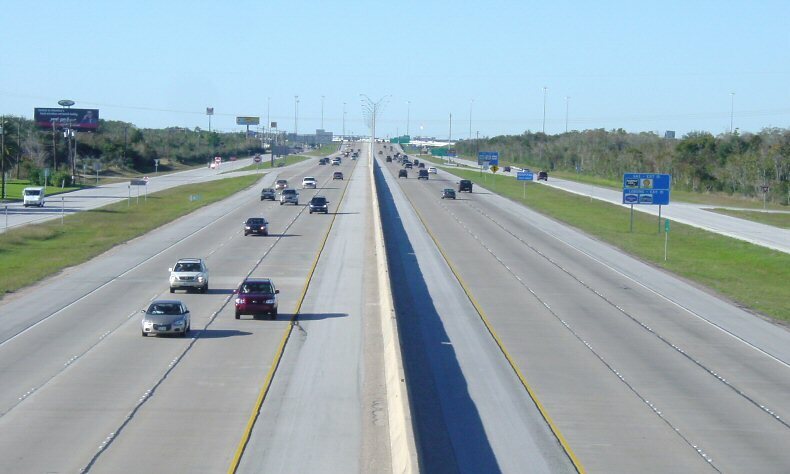 This view looks northbound along the Gulf Freeway (IH-45) at Texas City, between Houston and Galveston. This is SH 96 in League City (south of NASA and Clear Lake City). 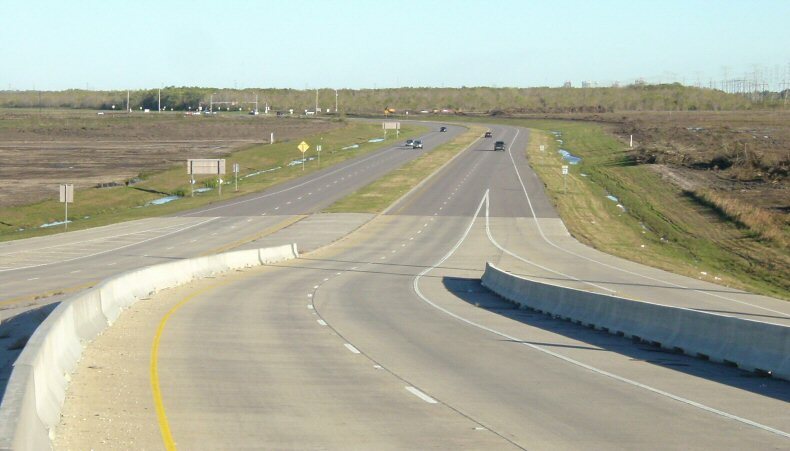 Some proposals showed the Grand Parkway following this alignment. I don't know if a final decision has been made on the Grand Parkway in this area. 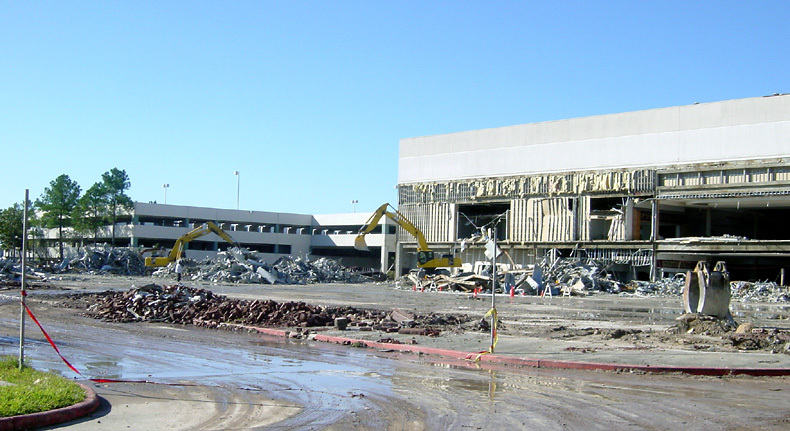 The demolition of Town and Country Mall is in progress. This view shows the location of the former JC Penney. The main mall is still intact, for the moment. This is a drivers view going eastbound on BW 8 (Sam Houston Tollway) south. 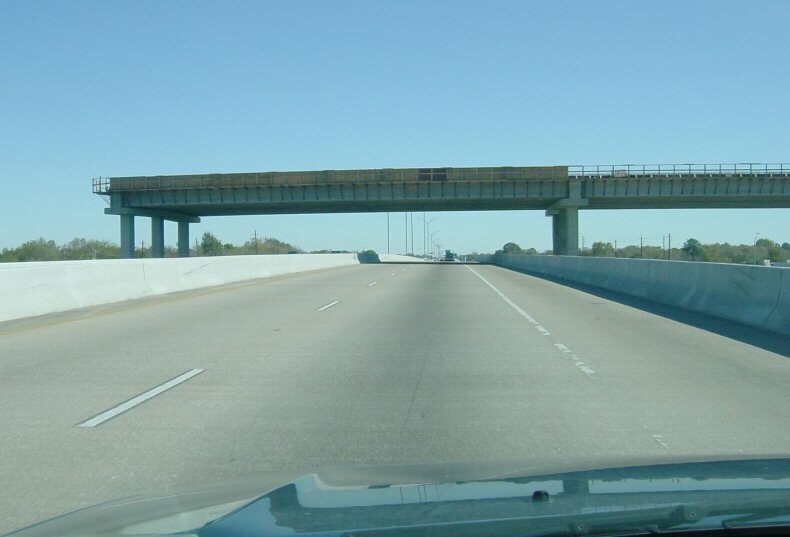 This is the overpass for the extension of the Fort Bend Parkway Tollway. This is a drivers view going eastbound on BW 8 (Sam Houston Tollway) on the SH 288 overpass.